We love technology here at TechRadar (the clue's in the name) but if there's one service we wouldn't mind dying a (very) quiet death, it's the squinty, tinny, pixel-fest that is mobile TV. So imagine our delight on hearing that tech analysts Juniper Research are downgrading their forecast for dedicated mobile broadcast networks. Dr Windsor Holden says, "The development and wide availability of terrestrial TV-capable receivers with low power consumption throws into question the business case for the deployment of a dedicated network in many markets." 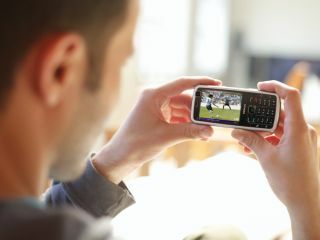 With DVB-T (Freeview) handsets in Germany preventing the uptake of DVB-H devices and the huge popularity of analogue TV phones in China, Juniper is now predicting a worldwide spend of just $2.7billion on mobile TV by 2013. Juniper reckons that of the 330m mobile users owning broadcast TV-enabled handsets in five years' time, just 14 per cent will opt for mobile pay TV services. Before you get too excited at the prospect of uninterrupted commutes, though, Holden goes on to say: "There will always be a market for premium mobile TV on the mobile handset, and the gap in the market is likely to be filled by streamed video-on-demand services over the 3G network." D'oh!